Starring Mads Mikkelsen as the archetypal gunslinger seeking revenge, The Salvation is a convincing if slightly unimaginative Western. It shoots fast, it’s hell bent on vengeance, and it fulfills its conventions well. The Salvation is a Western directed by Kristian Levring. It tells the story of a Danish soldier who has settled in the United States with his brother. Both are adept at gun play and neither are men that shirk from fighting back – traits that are necessary in the primal Wild West. The narrative focuses on Jon (Mikkelsen) who has toiled for seven years to build a farm and a life for his family. The film introduces Jon as he waits at a train station for his wife and young son to arrive and join him in what will be their new life together. This opening sequence is reminiscent of another Western, Once Upon a Time in the West, and it provides these early moments with a sense of prolepsis and doom. This is clearly a dangerous place to be and any sort of weakness (like having a family to protect) ensures that life becomes ever more precious. Jon lives outside of a small rural community that barely clings to a clearly inhospitable landscape. His farm is in the middle of nowhere and to get there he has to take his family by stage coach. Unfortunately two outlaws join them in the small carriage and things don’t play out well. In a heart breaking series of actions Jon has to watch as his wife is groped. His protestations are met with a leveled gun and Jon is rendered impotent. Jon’s young son is forced to watch too and this moment is designed to invoke in the audience a sense of righteous anger, a feeling that justice will have to be served. The sad subtext here is that Jon left a place torn apart by war and attempted to become a settler, to live a peaceful life, and to share it with his family. Instead it becomes clear that the American New World is just as dangerous and unpleasant as the one that he left. Jon finds himself kicked out of the stage coach and when he finally catches up to it, his wife has been raped and murdered, and his son’s body is strewn by the way side. Jon kills the two men who destroyed his life and that seems to be that. He takes the bodies of his wife and child back to his small plot of land and buries them with the help of his brother. It’s a sombre opening to the film and it stands as a good indicator of what’s to come. Unfortunately, it transpires that the small town near where they live is under the thumb of a group of outlaws led by Colonel Delarue (Jeffrey Dean Morgan). In another set of horrific events marked by violence Delarue and his posse arrive at the town. It turns out that Jon has killed two of Delarue’s men and one of them was his brother. This introduces one of the key themes of The Salvation – blood feuds. Revenge it seems is all that there is and there is no justice provided by the local sheriff and his men. Instead they play along with Delarue and give into his demands. Delarue informs the towns people that they have two hours to find the killer of his men and he tells them that they have to pick two of their own to die too. An old woman and a crippled man are selected and killed but that’s not enough to satiate Delarue’s taste for blood – he kills another man to show them that their choice didn’t suit his desire for didacticism. The narrative arc then is a traditional one and The Salvation stands as a predictable Western. But that’s not actually a problem as it unfolds with conviction and Mikkelsen ensures that there’s a strong dramatic core to the film through his portrayal of Jon. He’s quiet, soft spoken, and he chooses his words with care. What does work well is his arc and the ‘usual’ conventions ensure that by going toe to toe with Delarue, Jon will never be welcomed back into society. Jon has to become someone that he attempted to leave behind in order to survive but it goes beyond that. In a manner reminiscent of Blue Ruin, The Salvation deals with the notion of revenge, the idea of justice, and the problem of visiting violence on others. In doing so you lose your own morality and by stooping to the level of a bully you become that bully. Of course, something has to be done about Delarue and his machinations. When the law doesn’t work, when it doesn’t stand up for the things that it should, then morally we all have a responsibility to do something about it. Unfortunately for Jon it’s something that he has to do alone. The Salvation is shot well and it has a consistent sepia tint lending the film a photographic air. The characters themselves are dressed in bright colours making them stand out against the dusty brown landscapes they exist within. The cinematography highlights the sheer scope of the American West and the film often dwarfs the characters and their lives under the unflinching hot sun. It’s a world that isn’t designed for humans. It’s a place full of violence, space, and unrelenting time. There’s little humanity in this landscape and the attempts by the town to enforce civilisation are laughable and backwards. The sheer scope of the landscape that they live in ensures that their actions are always viewed through a lens of pettiness and primal solipsism. The Salvation is well edited and the overarching whole is considered if slightly underdeveloped. However some of the acting does let the film down and the dialogue is at times stilted and stereotypical. But Mikkelson is definitely the star and he elevates the often-mundane writing through his versatile and nuanced portrayal of Jon. It’s a film with a traditional thematic backdrop for a Western and it deals with the desire for family and a human connection, the need for revenge when that’s taken away, and the problems of morality that arise in the process. 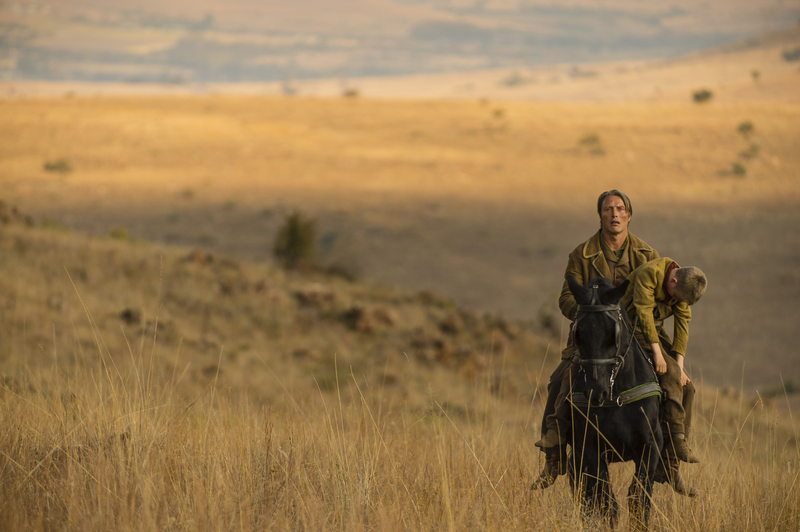 The Salvation is a pulpy genre piece and as a journey it’s convincing enough. It doesn’t add anything particularly new or interesting to the Western genre but it doesn’t really have to – it’s a film steeped in its conventions and it’s beautifully shot too. The Salvation is perhaps too evocative, too picture perfect, and too much of a homage to other more notable Westerns. 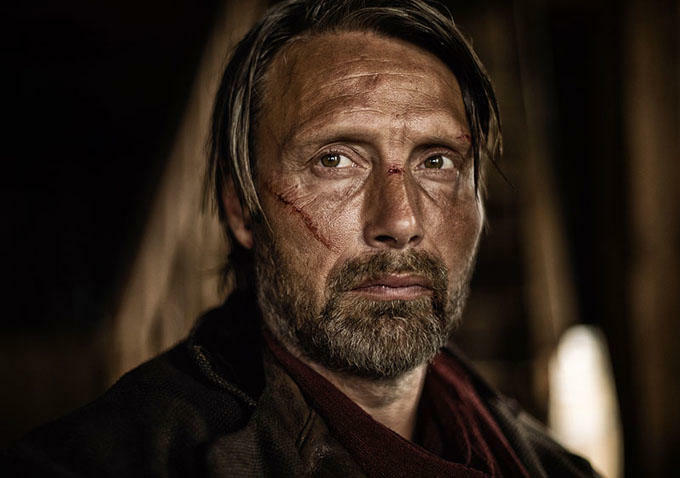 But Mads Mikkelson provides a nuanced character at the centre of the narrative and his story ensures that the film rises above its genre conventions.